Today is my birthday. Every year I try to reflect on what I picked up each year and what I want to remember and build on. The following is 28 pieces of advice to myself from my self-reflection of the past year. 16. Continue to fall in love with Jesus in the Eucharist. What a blessing it has been to see and be with Him almost everyday in adoration. 1. Continue to fall in love with God. Take time to be with Him every day. 2. Always shoot for complete and utter honesty and transparency in marriage. It is the highest form of intimacy and trust I can share with my wife. 3. Always post at Mass and a rosary in the morning. Even and especially when I don't feel like it. 4. "Blessed are the pure of heart for they will see God." Purity is a means to God's calling in life, not the end. 6. Be available to God's timing. 7. Be secure that God always provides. 8. ACTS. Adoration, Contrition, Thanksgiving, Supplication. This type of prayer (who you first learned from dad) at the beginning of the day has been so fruitful. 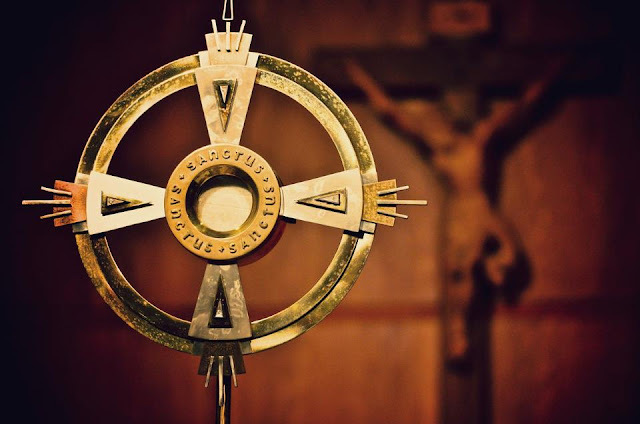 Adoration---take a moment to tell Him you adore and love Him. Contrition---tell Him you're sorry for the things you did or failed to do in the past 24 hours. Thanksgiving---thank Him for all the things and moments of good of the past day. Supplication---ask Him and pray for others that are in your heart and mind. 9. Say I'm sorry and thank you to my wife every day. It's always needed. Say it to her eyes. 11. Joyfully give and give some more when I have the opportunity. I always feel good after it, and it always comes back ten fold. 12. Try to go to bed and and wake up at the same time. Our 10ish pm and 5ish am wake up seems to be working lately. 13. Always remember how blessed you are, with an amazing God, a supportive wife, loving family and friends, and a job and mission that makes me fully alive. 15. Strive everyday for private victories: moments when you know no one is looking or would know what you're doing, and you choose to do the right thing anyway. 17. Always continue to humbly ask if what I'm doing and the direction I'm going is what and where God wants me to do. 18. Dude, you are a screwup! Left to your own devices and sin, you could very well waste your life away. You definitely have wasted whole days sometimes. Build that muscle to put yourself in winning positions. 19. Schedule diligently with the gain and maintain method. Remember discipline and consistency is the path to success. 20. Having a plan is always better than not having one. 21. No matter what always give and save money consistently. 22. Soak in how cute and precious Teresa is, she will always outdo herself. 23. As hard as it is, always take time to sit in silence to listen to God. 24. Always say I love you because today could be the last. 25. Always remember your mission and vision for yourself and for others. Let that true North point your compass. 26. Try to be available to others. We can't go far in life without the help of friends. Here's to more birthdays to come! Thanks for the list! Happy birthday, and may God bless you and your family abundantly!